Incredible discoveries from the fringes of the universe to the inner workings of our minds—all from nothing! What came before the big bang, and will our universe end? How might cooling matter down almost to absolute zero help solve our energy crisis? How can someone suffer from a false diagnosis as though it were true? 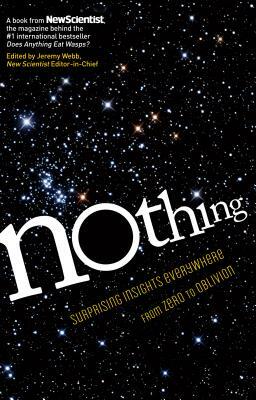 Does nothingness even exist? Recent experiments suggest that squeezing a perfect vacuum somehow creates light. Why is it unfair to accuse sloths—animals who do nothing—of being lazy? And more! Contributors Paul Davies, Jo Marchant, and Ian Stewart, along with two former editors of Nature and 16 other leading writers and scientists, marshal up-to-the-minute research to make one of the most perplexing realms in science dazzlingly clear. Prepare to be amazed at how much more there is to nothing than you ever realized. Established in 1956, New Scientist is the fastest-growing and bestselling science magazine in the world, reaching over 3 million readers through its print and digital channels. Its series of accessible popular science books, which debuted in 2005, has sold well over 2 million copies worldwide. Jeremy Webb, who has worked at New Scientist for over twenty-three years, is editor-in-chief. "The collection on a whole takes a fun and accessible tone with easily digestable insights and discoveries . . . the reading is breezy, proving it doesn't take a scientist to know about nothing."